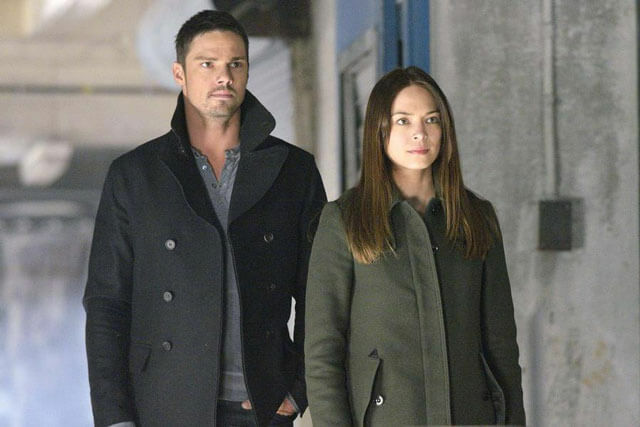 Beauty and the Beast starring Kristin Kreuk and Jay Ryan will be back for a third season on June 11, 2015. The CW just confirmed the new premiere date for the upcoming season which had previously been set to return on May 21st. Season three of Beauty and the Beast will air on Thursday nights at 8pm ET/PT. Season three is executive produced by Brad Kern, Bill Haber, Paul J. Witt, Tony Thomas, Ron Koslow, Frank Siracusa, and John Weber. As season three begins, Cat (Kreuk) and Vincent (Ryan) are able to focus on their love, finally free from Muirfield, manhunts and beasts. However, that love will be tested as new and more dangerous threats await. When they learn that innocent victims are being used to test the boundaries of the impossible, Cat and Vincent will uncover a deeper conspiracy, one which Vincent can fight only by turning to the beast he carries within. But unleashing the beast will risk Vincent’s life – along with his and Cat’s love – as they struggle to build a normal life together.